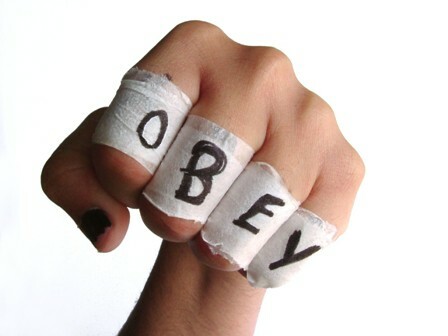 Legalists often place a high premium on commandment keeping and obedience.1 They are extremely zealous for God’s law. The standard that they bear is the Ten Commandments, and they are diligent to point out every misstep in the lives of people they come in contact with. They can also be very diligent in pointing out their own missteps as well. As a result, they can carry around an extraordinary amount of self-imposed guilt. I know. I am a recovering legalist. Legalism is a Christian heresy that is as old as the church. When God devotes an entire book of the Bible to combating a certain thing you can know for sure that it was, is and will be a problem for the church. That is exactly what God did with the book of Galatians. He devoted an entire book, perhaps the most impassioned book of the Bible — to combat the heresy of legalism. I can honestly tell you that I used to read Galatians and think, “Hey, Paul, what’s the big deal? After all, isn’t it a good thing to want to keep God’s law?” Now I understand what the big deal is. Let’s not sugarcoat it. Paul called legalism “a different gospel.”2 That is serious business. What exactly is legalism? I’ve developed my own simple definition after years of struggling with my own legalistic tendencies. I believe that legalism is trying to attain or maintain rightness (righteousness) with God by human effort. Most of us don’t have a problem with the “attain” part of that definition. We would never tell a lost person that if they try real hard and do all the right things, they can be saved. No way! We say, you’ve got to admit there is nothing that you can do to be saved — that you are lost without Jesus! However, here’s where the heresy and perversion of the gospel comes in. Keep in mind that the book of Galatians was not written by Paul to lost people, telling them how to be saved. It was written to people who had already received the Holy Spirit.3 Paul was angry with these baby Christians because they were trying to live out the Christian life by keeping the law! The heresy of legalism involves telling people that there are certain things that they must do to “maintain” their rightness with God or to achieve victory in the Christian life! Paul says it this way: “After beginning with the Spirit, are you now trying to attain your goal by human effort?” (Galatians 3:3). The victorious Christian life is a gift attainable by allowing the Holy Spirit to live through us by faith! Peter tells us that, “His divine power has given us everything we need for life and godliness” (2 Peter 1:3). Isn’t it just like God to give us the victory? Is that not what he did over and over in the Old Testament? “It was not by their sword that they won the land, nor did their arm bring them victory; it was your right hand, your arm, and the light of your face, for you loved them” (Psalms 44:3). Having a great work ethic is a good thing in the world, but it will get you no where in the economy of God’s plan of salvation. He will not share his glory with you or me. He’s paid too high a price to purchase our salvation. When I came to Christ, my philosophy was, “I’ve accepted Christ, now I’m ready to commit myself to keeping his commandments.” I was really ignorant of how the Christian life is to be lived out — by faith.4 I thought if I read enough of the Bible and obeyed what I read, that I would achieve victory. Sounds logical doesn’t it? Some of you who are reading this are saying, “What’s wrong with that?” Ever wonder why the Bible talks about obeying or disobeying the gospel?5 How exactly does one obey the Gospel and keep obeying it? The answer is by trusting Christ to live the Christian life through them by the gift of the Holy Spirit that was given to us at salvation. He is indeed “the author and finisher of our faith” (Hebrews 12:2 KJV). When I was steeped in legalism, struggling was a way of life for me. I was extremely critical of myself and others, and I just could not seem to help myself. I remember telling this to a trusted counselor, and he told me, “You’ve got to learn how to apply grace in your life.” Well, I didn’t know about all this namby-pamby grace and love stuff (To be honest we legalists often begin to squirm in our seats when people talk about God’s love too much). It all smacked of liberalism to me, and I wasn’t sure that I wanted any part of it. Thank God he opened my eyes enough that I took a chance on living by grace. I haven’t been the same since I took that first step! When I first discovered living the Christian life by grace through faith, it was like a door opened and I began to see the world through different eyes — eyes full of child-like wonder and awe. Every song that I heard was God’s sonnet of love written to me. Every breeze that I felt on my face was him gently caressing the skin of his beloved child. Every moment of every day began to take on purpose and meaning, and God began to speak to me in ways that he never had before. Over the history of the Christian church living by grace has been called by various names. Paul called it “walking in the spirit.” Others have called it “the exchanged life,” “the spirit-filled life” “the victorious life” or even more recently, “the gracewalk.”6 In the book of Galatians it is presented as the antithesis of living under the law. F. F. Bruce, one of the greatest theologians of the twentieth century, said that “Doing the will of God is not a matter of conformity to outward rules but of giving expression to inward love, such as the Spirit begets.”8 The Christian life was never meant to be a life of drudgery, although some of us have made it to be. Jesus said, “I have come that they may have life, and have it to the full” (John 10:10). The Christian life was never meant to be a burden, although some of us have made it to be. Jesus said “my yoke is easy and my burden is light” (Matthew 11:30). The Christian life was meant to be a life of supernatural love, joy and peace that is squelched when we attempt to live under legalism. I confess I have been guilty of that, but God is showing me a better way. 1 Of course there is nothing wrong with obedience as long as one realizes the only way to live a consistently obedient lifestyle is by letting Christ live through them — not be focusing on Law. 8 F. F. Bruce. Paul: Apostle of the Heart Set Free. (Grand Rapids: Eerdman’s Publishing Company, 1977) 200. Steve Reynolds is a recovering legalist in Memphis, Tennessee.